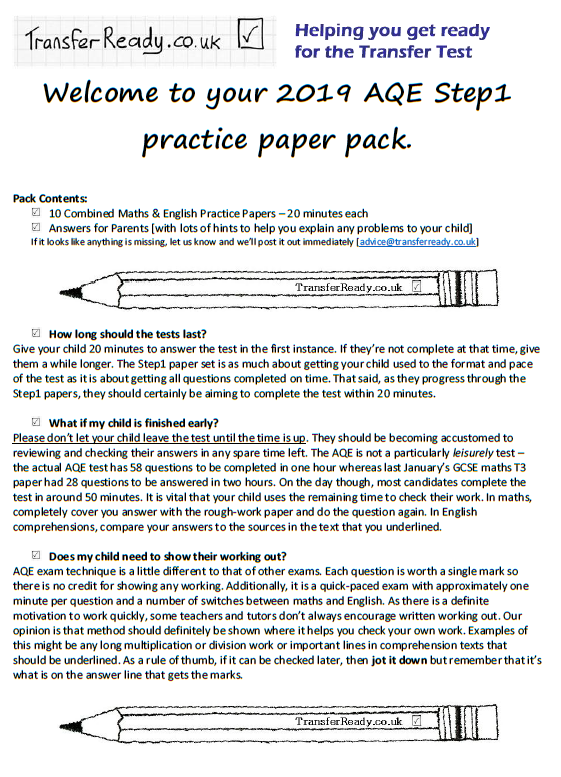 FREE shipping | Printed pack of our step 1 AQE-style practice papers and answer booklet. Our convenient folder of printed tests makes doing the Step1 tests even easier to fit around your busy lifestyle. FREE shipping | Printed pack of our Step1 AQE-style practice papers and answer booklet. Our convenient folder of printed tests makes doing the Step1 tests even easier to fit around your busy lifestyle. 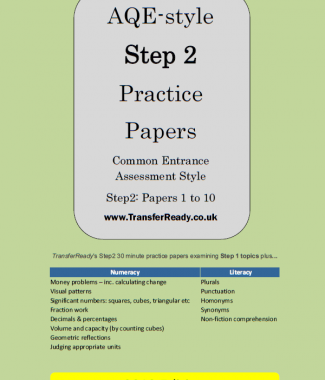 TransferReady.co.uk’s Step1 Practice Papers designed to prepare your child for the AQE Northern Ireland Transfer Test. Our AQE step1 tests are only 20 minutes long with carefully chosen questions to examine the most accessible topics in the AQE test. This way, they fit around your busy family lifestyle. 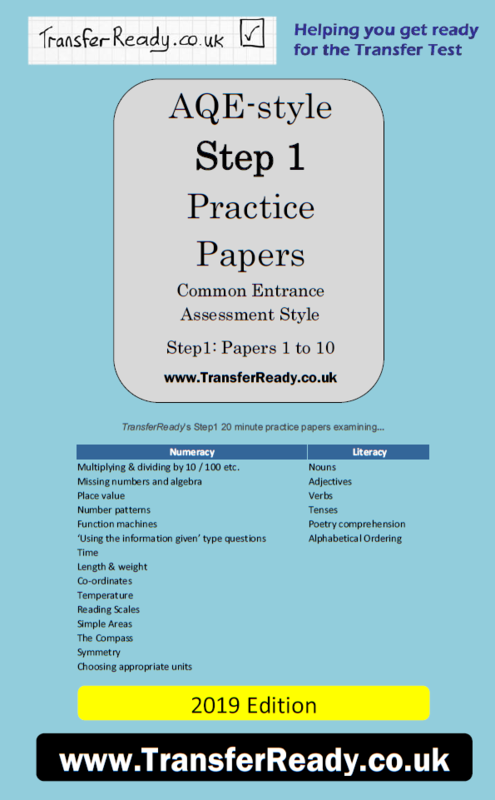 Each of the ten 20-minute practice papers ‘look and feel’ just like the real thing but with a carefully selected third of the content or the full exam which your child will have completed by early in their P6 year. With Step1 tests, they can then begin to master their examination technique when they are still studying new skills. Our unique stepped programme helps build confidence and examination skills while your child is still learning in class – a proven ASD-friendly approach. 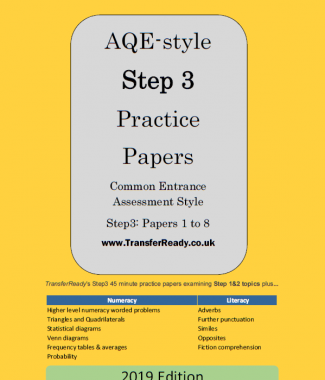 TransferReady’s AQE-style Step1 papers are the perfect way to begin your preperation for the Northern Ireland AQE Transfer Test. When you have completed Step1, you’ll be ready to move to our 30-minute Step2 papers which will examine two thirds of the AQE syllabus before moving on to the 45 minute Step3 papers. These will examine the entire syllabus and get you ready for sitting the full one hour past papers, and of course the November test.